Business applications have become the battleground for customer loyalty. To compete, IT organizations are under pressure to deliver applications faster and with higher quality. Continuous Delivery (CD) of code offers a solution. CD may be paired with DevOps, Agile and other methodologies. However, QA and testing can be an obstacle to CD’s rapid development and deployment of high quality code. Testers and developers must engage in Continuous Testing, continuously testing software for performance, quality and user experience as it’s being developed. Continuous Testing is not a push button process, though. It requires a comprehensive approach. 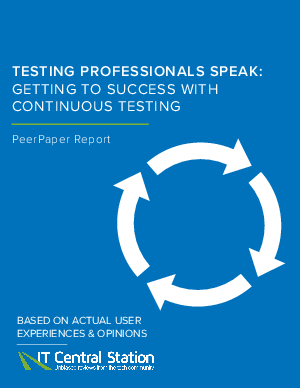 This paper outlines the common challenges to Continuous Testing and highlights results from real users who have used technology to get to succeed with the Continuous Testing process.